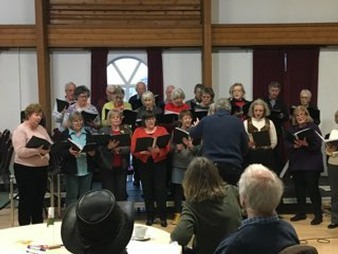 The run up to Christmas is always a busy tine of year for any choir and, for the Llanfair Singers, the time not only included the joy of singing Carols at church services and local events, but also performing two concerts, together with Mig's Band, of widely varying music at two local venues: the Memorial Hall in Clun and the Everest Hall in Llanfair Waterdine. 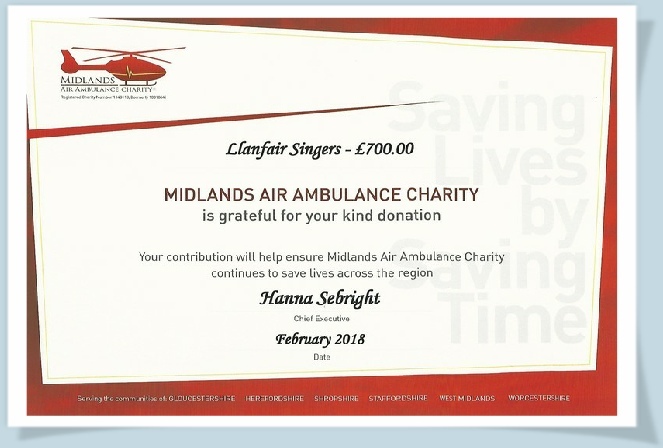 The Everest Hall concert was the choir's major charity fund-raiser for the year, held this year in aid of the two local Air Ambulance charities (Wales and West Midlands) and raised the outstanding total of £1400. The hall was filled to capacity. 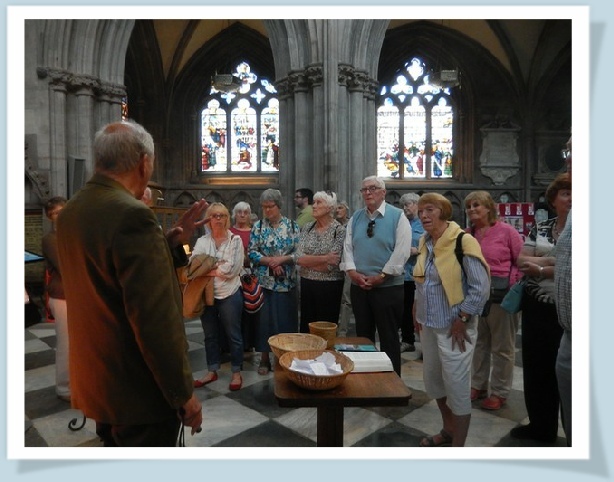 It is not every day that an audience has the opportunity to hear a choir noted for singing in cathedrals, singing a music programme where the opening item is a sublime Mozart choral work and the finale is one that mocks Mozart to his own music! 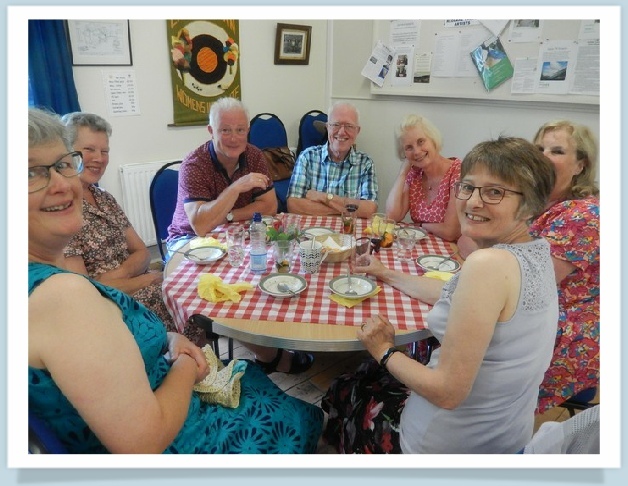 Nonetheless, the whole group of comic songs, selected to round the concert off, raised much laughter and, not surprisingly, requests for even more! If you don't know what I'm talking about then you weren't there and clearly missed a treat - you'll have to come next time. For those who did come, thank you for both your support and your incredible generosity! 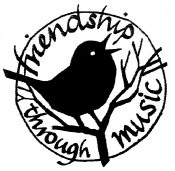 The genius of the programme organisation and of the music selection (not to mention the performance of the choir!) is entirely down to our long-suffering, but outstanding Director of Music, Graham Trew and his assistant DoM, Richard Lewis. To both of these gentlemen we are eternally grateful for the time, talent and energy that they so freely give to us. Rehearsal for the new term started on 19th January, 7.30pm in the Everest Hall and, as always, we are delighted to welcome new members - particularly basses at this moment! 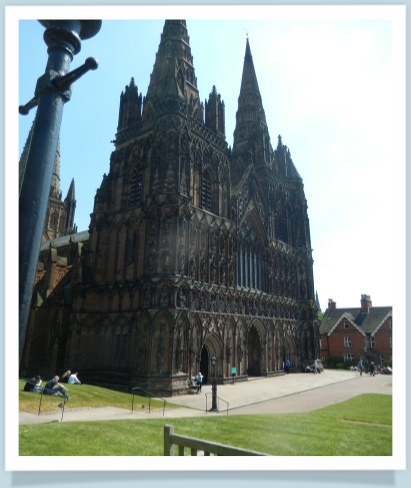 2018 looks like another very hectic year with a full schedule of performances and services at both local churches and not so local cathedrals - with invitations from as as far afield as Lichfield and Liverpool! The first few months include the following and we would be delighted to see you at any, or all, of these events. 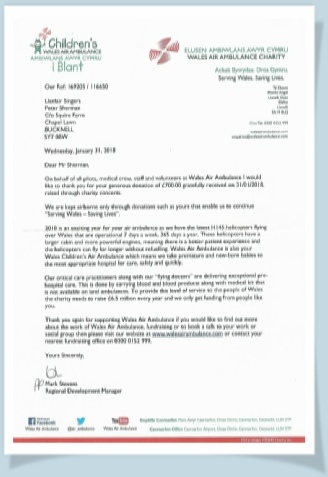 PDFs of the thank you letters from Wales Air Ambulance and from Midlands Air Ambulance can be downloaded or viewed by clicking on the names above. to help raise money for an orphanage in the high Himalayan town of Tawang, in the NE of India, bordering Bhutan and Tibet. The orphanage is home to over 200 local children and was established by Lama Thupten Phuntsok, an inspirational Bhuddist monk, who sees his vocation as service to the community. The orphanage has benefited from generous endowments which have funded the buildings, while FMVSO attempts to cover food costs (£3,000 per month - equating to 50p per child per day!). our choir member visits once a year and aims to support the education at the school through providing equipment (such as solar panel powered laptops and projectors) as well as teaching and sponsoring staff development. Contributions will be directed towards purchasing much-needed text books. The Thuso Centre in Lesotho was originally established to care for children with mental and physical disability who, owing to the prevalence of HIV, had become orphaned. The children were now the responsibility of their grandparents who, in order to feed the children, were having to go out to work. In order to stop the children wandering and to keep them safe from abuse of roving strangers, they were being locked in. It was in response to this that the school was established. 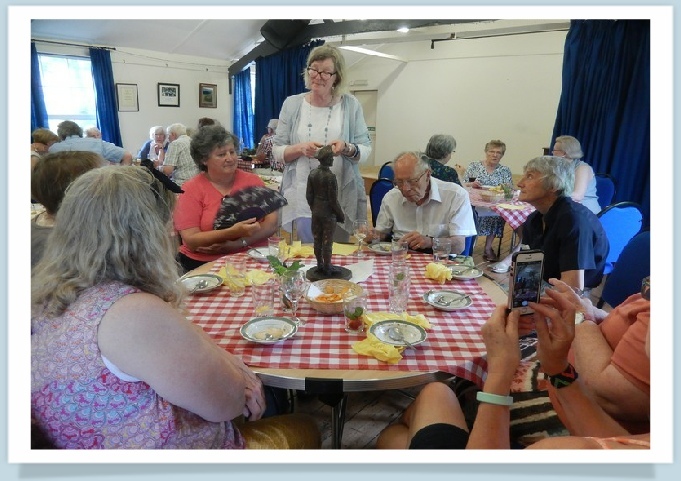 When we first visited in 2000 there was no electricity and no water and the centre relied upon goodwill and donations (as it still does) The children were only taught crafts and by volunteers in the hope that the children could eventually earn an income. Over the years the dormitories, laundry and shower facilities have improved and, recently, Sentabale, (The Duke of Sussex's charity) became involved and the school now has electricity and, the Government provides qualified teachers - but, like all such ventures, if it is to continue its good work then it needs our support. 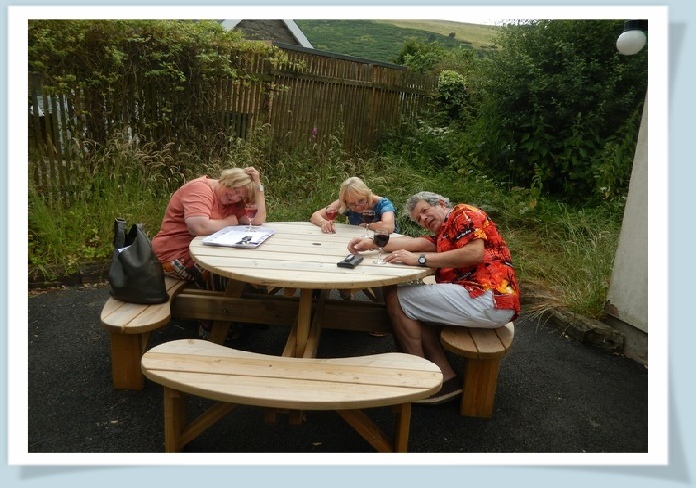 Wasteaid UK is a small charity that makes a BIG difference to lives and communities. Working primarily in Africa and India, WasteAid turns the problem of waste into an economic opportunity, sharing skills so that people can transform waste into useful stuff, for example: turning plastic bags into floor tiles. The aim is to create healthier communities and a better world for everyone. People in low and middle-income countries are taught to manage waste in a safe and affordable way and partners benefit from local waste management jobs, useful products, a cleaner environment and better public health. Wasteaid also campaigns for urgent action to tackle the waste crisis and promote recycling as a tool for global sustainable development. For those who remember it, the words of David Cassidy's song have been singularly appropriate "Didn't we have ourselves some kind of a summer!" Boy! It has been hot...... and wonderful....... and long lasting........ but now reality has returned and our weather is gently reminding us that we live in the UK and that Autumn is beckoning. That means it will soon be time for our annual charity concert . Not surprising then that it is that which is uppermost in our mind - and dominating rehearsals. 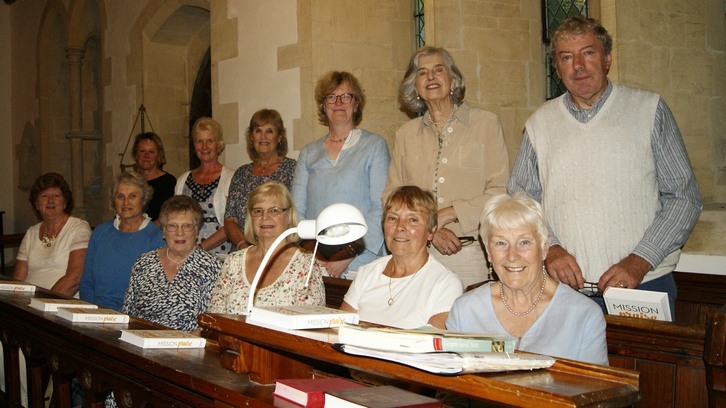 The date for this year's concert is Dec 15th (put it in your diary) and remember - there is a supper included and Wine and soft drinks are available, too, (well,,,, this IS the Llanfair Singers!) all of which is in addition to the outstanding singing and, what is more, it's all in a good cause. as you will see below. 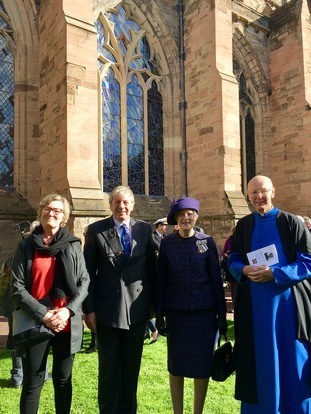 On 21st September, the choir was invited to sing at the consecrating of a plaque in the Lady’s Arbour at Hereford Cathedral to commemorate those who died in the first World War, in particular a young soldier from Herefordshire who was awarded the Victoria Cross. 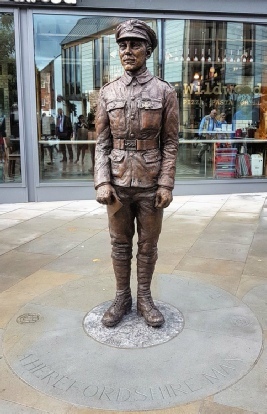 His name was Allan Leonard Lewis and a slightly larger than life statue of him now stands in the Old Market Shopping Centre, which was unveiled later the same day. 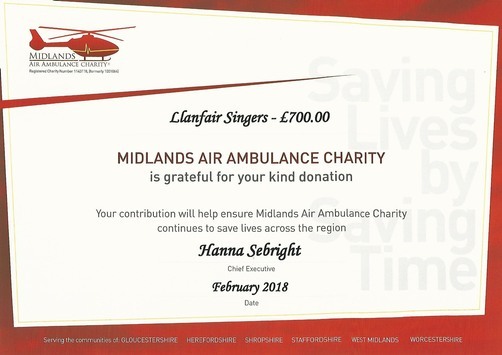 to everyone who supported the Llanfair Singers and Mig's Band charity concert and supper in December. Thanks to your efforts we raised well over £1400 and were able to round that amount up such that each of the three international charities was presented with a cheque for £500. 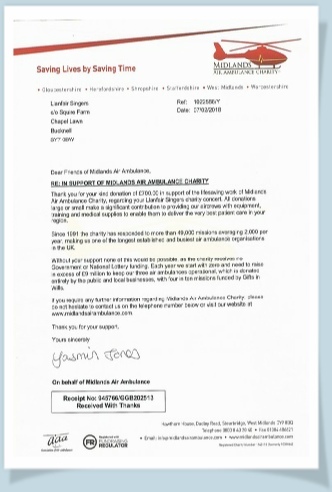 Given that each charity was connected to a performer at the concert you will appreciate just how much that meant to us all. Thank you. Next Christmas, as part of our 3 year rotation between international, national, and local charities we shall be supporting a national charity. 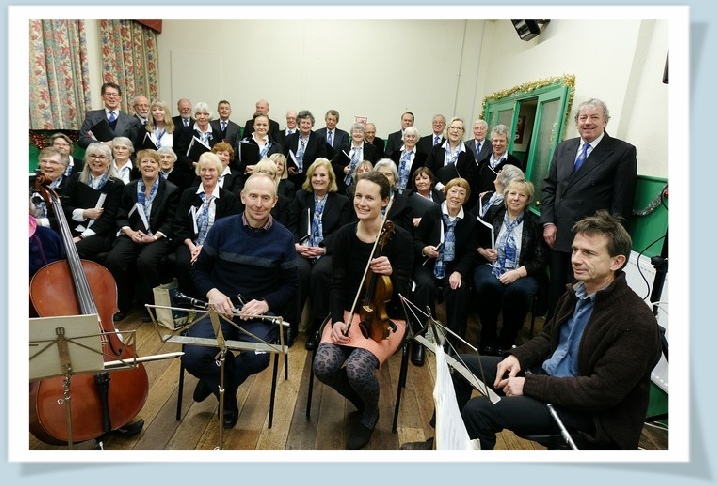 With the Clun Concert on the 9th December, 2018 and the Everest Hall one on 15th December you could be forgiven for thinking that our singing for Christmas was over. 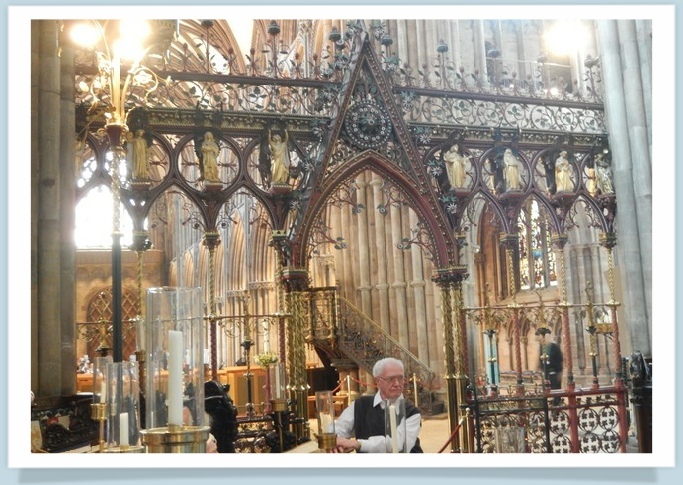 However, no choir can enter the Christmas season without the wonderful abundance of Carol Services. 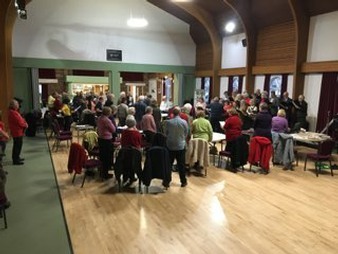 So it was no surprise that we were still to be found singing - at Heyope, Knighton Community Centre and, just two days before Christmas, at St Mary's, Llanfair. 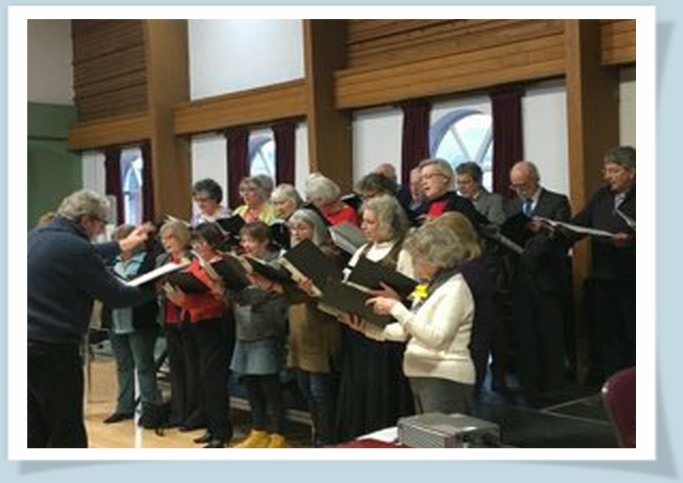 After two weeks of relaxation it was time to return to the serious business of singing again, with a whole programme ahead of us and much new music to learn. The arrival of St David's Day meant that, once again, the mastery of Welsh pronunciation was to the fore - particularly with the concert at the Community Centre on 2nd March, the Patronal Festival service at Heyope on the 3rd and, even though firmly in Shropshire, those same skills will be in use whilst singing at Bucknell Church on the 9th. 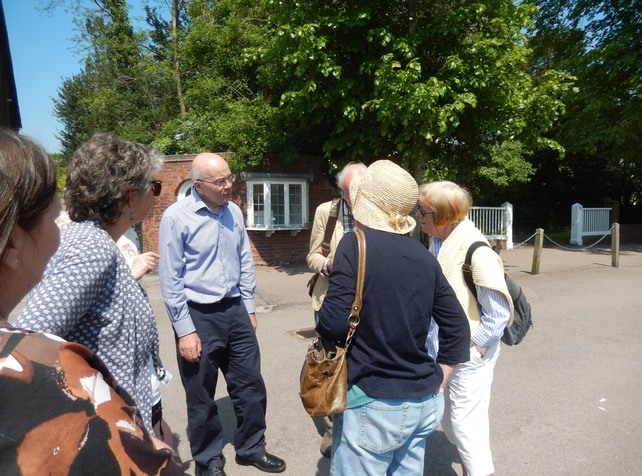 Plenty of opportunities for you to join us! 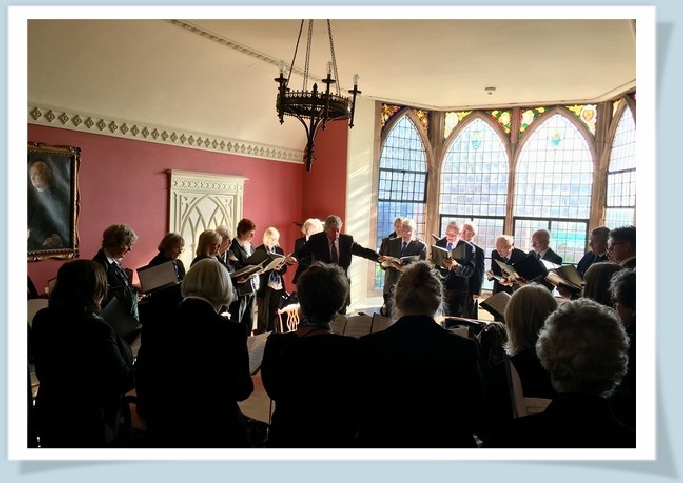 Once our other engagements have been completed, including a "meditation" at Llanfair Church on Good Friday, the choir heads off to the Stour Valley, in Suffolk, to sing at a concert hosted by the Stour Valley Singers on 4th May. This is part of our biennial concert series with them. Immediately upon our return - and before we've even had time to draw breath - we head to Chapel Lawn on 11th May to introduce their new organ. 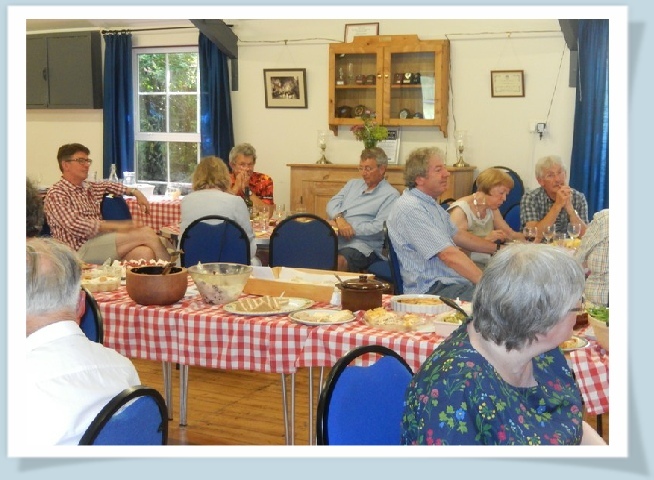 Whilst that concert begins at 7.30pm there will be canapés and cava served at 6.30 pm before the concert - a rather important feature I think you'll agree - although not necessarily the best order of events for those of us singing!. As we finally come up for air we head off to Durham to sing Choral Evensong in the Cathedral on the 1st July. 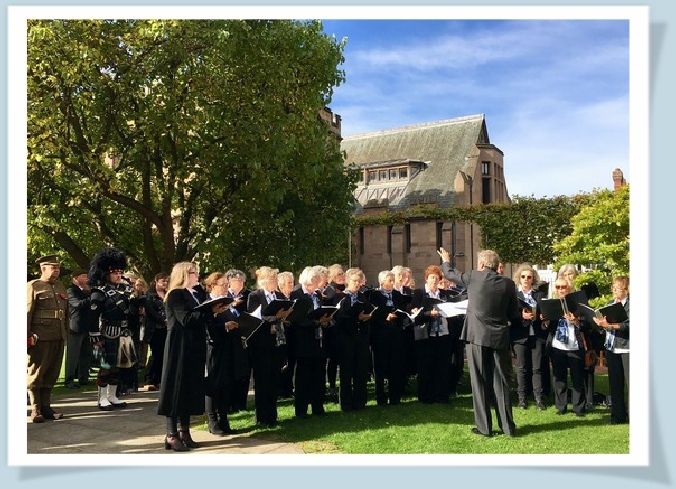 I suspect that, as always, there will be many other requests for us to sing in the interim and one thing is certain - we have learnt more than enough music recently to be able to do justice to any request!